Using a combination of technical skills, people skills, and physical stamina keeps the job of Magnetic Resonance Imaging Technologists – or MRI - interesting and challenging. 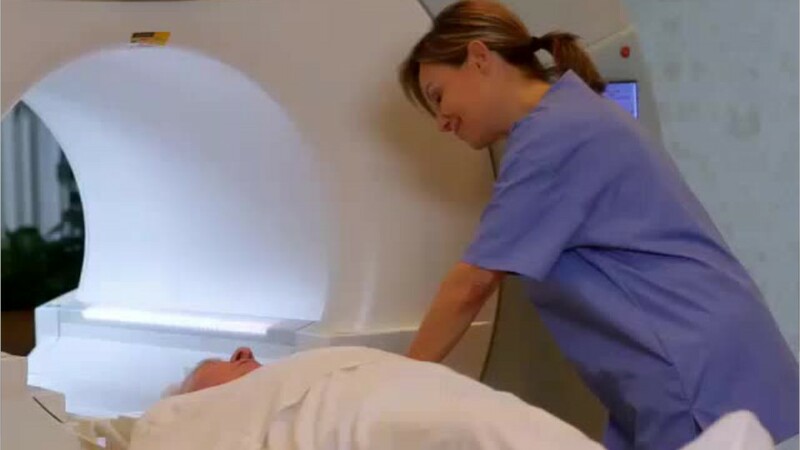 MRI technologists put patients at ease and provide essential medical information in a career focused on operating MRI scanners to create diagnostic images. MRI technologists prepare patients for procedures, taking their medical history and answering questions. They inject patients with contrast dyes that interact with magnetic fields to produce images that physicians use to diagnose medical problems. During the MRI procedure, technologists correctly position the patient, shield exposed areas, and operate the equipment to take the images. They must follow physicians’ orders precisely to capture the correct images, and keep detailed patient records. MRI technologists put patients at ease, helping them cope with pain or mental stress. They use technical skills to understand and operate complex equipment. They also work on their feet much of the day, lifting and moving patients when needed. MRI technologists work in healthcare facilities; more than half work in hospitals. Most work full time, and may work evenings, weekends, or are on call where emergency imaging is needed. An associate’s degree combining classroom and clinical training is the most common educational path. Coursework should include anatomy, patient care, radiation physics, and image evaluation. Many MRI technologists start out as radiologic technologists who develop specialization in MRIs. Licenses or certification to practice is required in some states. See more details at O*NET OnLine about magnetic resonance imaging technologists. Magnetic Resonance Imaging Technologists by U.S. Department of Labor, Employment and Training Administration is licensed under a Creative Commons Attribution 4.0 International License.